Take a look at the 12 best Fortnite Party Supplies! Fortnite has taken the gaming world by storm! There's not a kid out there who didn't learn how to dance "the floss," "the turk," or "the carlton" over the summer. The game has become so popular that we are starting to see Fortnite parties show up on Catch My Party. If your kid is a Fortnite fan, and you're thinking of throwing a Fortnite party, then you won't want to miss our 12 best Fortnite party supplies! 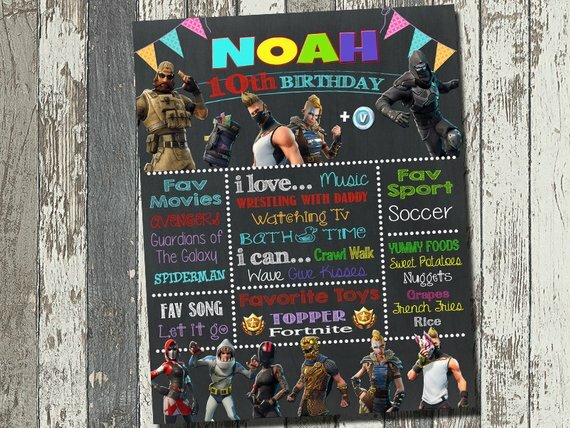 We've found ideas for Fortnite invitations, cake toppers, party favors, Fortnite cookies, decorations, and so much more! 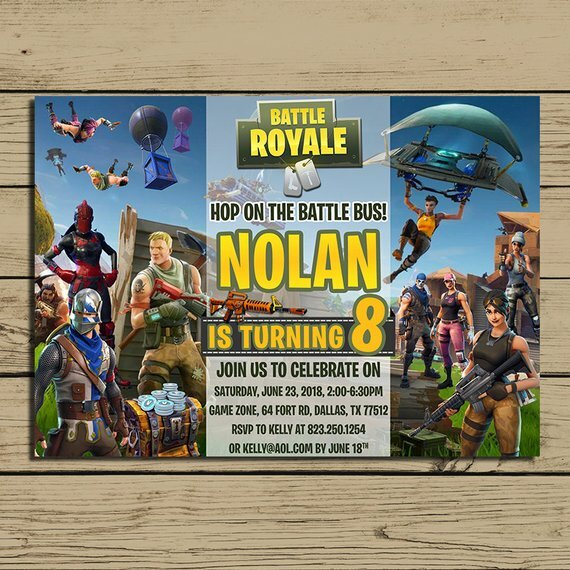 Get your guests' heartbeats racing the second they set eyes on this awesome Fortnite party invitation! You can bet they'll be polishing up their dance moves once they do. A chalkboard poster is an awesome way to mark all the milestones at the time of your child's birthday, such as their favorite sport, movie etc. It's such a cool Fortnite party decoration to hang on a wall or place on the dessert table. This also doubles as a fantastic keepsake that you can place in your child's bedroom. 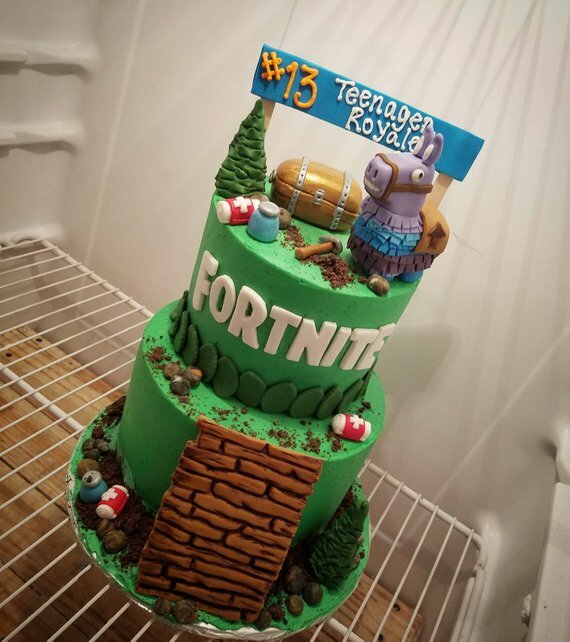 Create a true showstopper with an incredible Fortnite birthday cake like this one!! This set includes fantastic fondant decorations and toppers to help you put together the perfect birthday cake. You will receive a llama pinata, a chest, a wooden plank, a banner, and more! 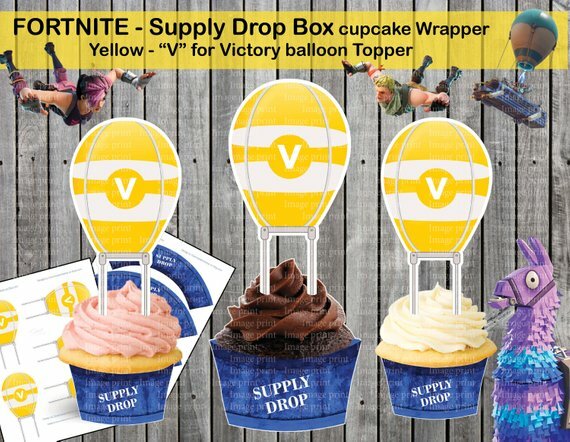 Transform the cupcakes at your Fortnite party easily into awesome supply drop boxes! All you need are these supply box wrappers and victory balloon toppers, and you're good to go. 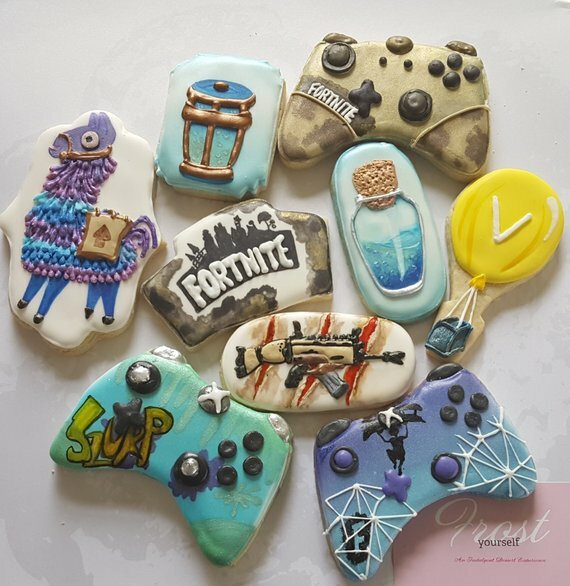 Fill a plate at your party with these beautifully decorated Fortnite inspired sugar cookies! Your guests won't have to resort to any weapons to get a hold of one of these. As everyone knows, the currency used in Fortnite: Battle Royal are v-bucks, so you can't really have a Fortnite party without them, can you?! 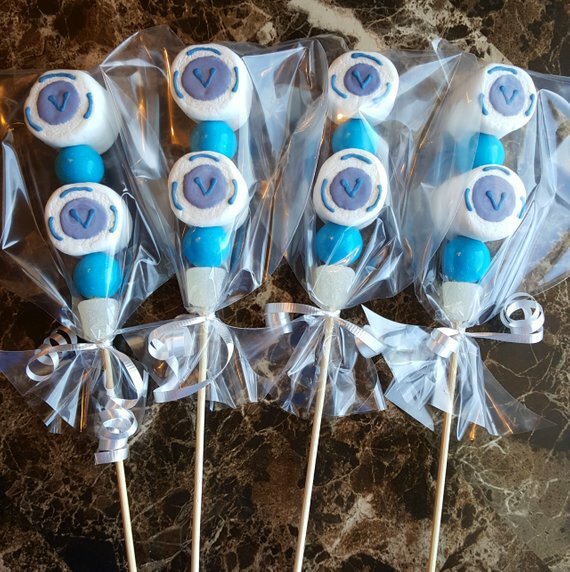 Check out these fun V-buck inspired marshmallow kabob pops. Absolutely perfect for your party! Bring your party to life with an incredible 40 x 60 inch Fortnite backdrop! The backdrop includes a bunch of Fortnite characters and is personalized with your child's name and age. 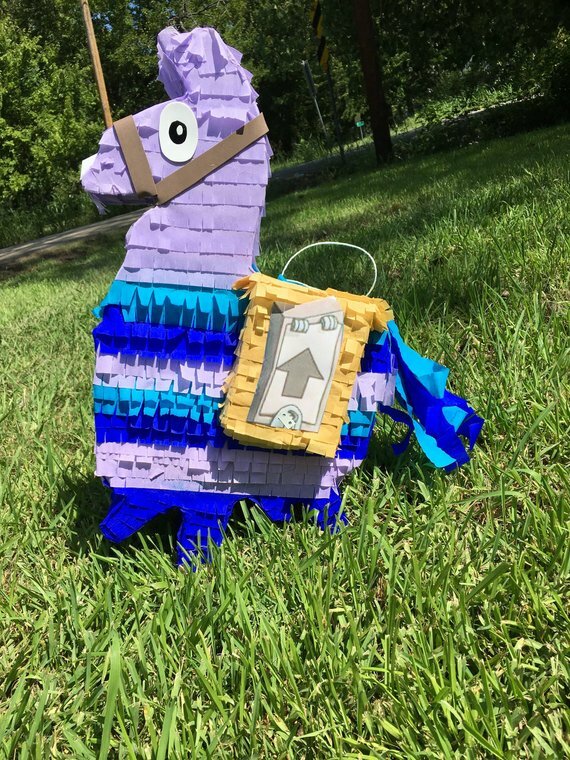 A Fortnite party just isn't a proper party without an actual Llama Supply pinata!! Your guests are going to go crazy bashing this pinata to bits, and you can bet they'll be in survival mode once all that candy starts to fall. 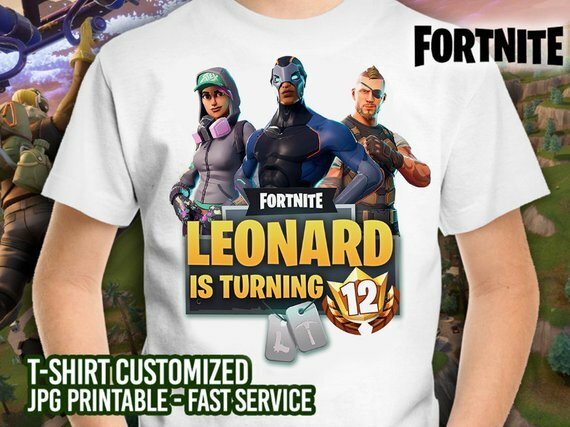 There are so many Fortnite party supplies to choose from, but this Fortnite birthday t-shirt is a must for the birthday boy or girl! 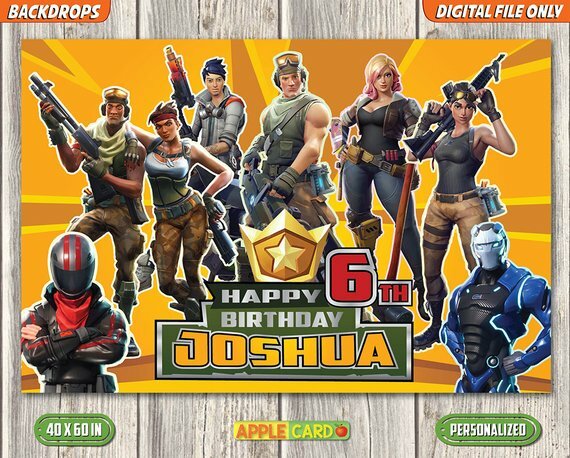 Have it personalized with his or her name and age, and you'll have yourself the best birthday outfit for a Fortnite birthday party! 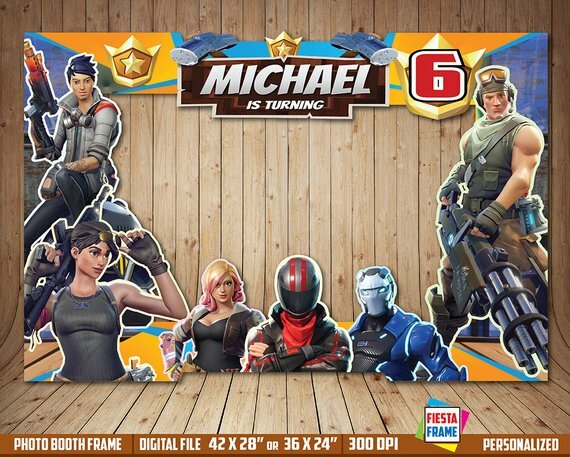 Take a bunch of cool party photos with this excellent Fortnite photo booth frame! Your guests are going to have so much fun fooling around while you take awesome photos. We've found the perfect Fortnite party favors for your guests! 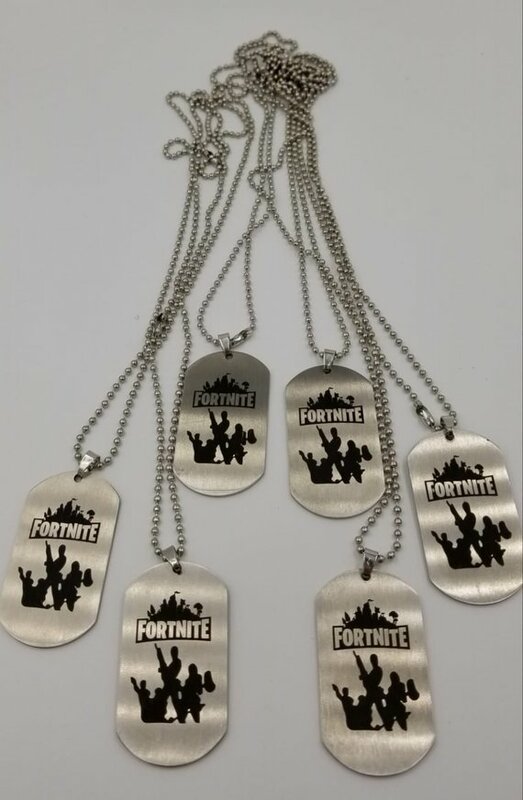 Send your guests home with their very own Fortnite Dog Tags. They'll feel just like they are in the game! You can't have party favors at a Fortnite party and not place them in a supply drop box! 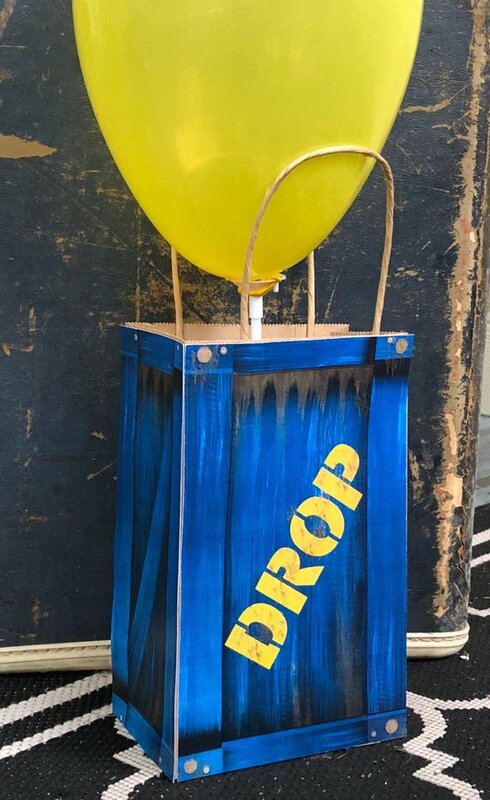 Check out these perfect supply drop paper bags that have a bright yellow balloon sticking out of them. These are just what you need to send your guests home with a smile. Need more Video Game party ideas? Need more video game party printables? 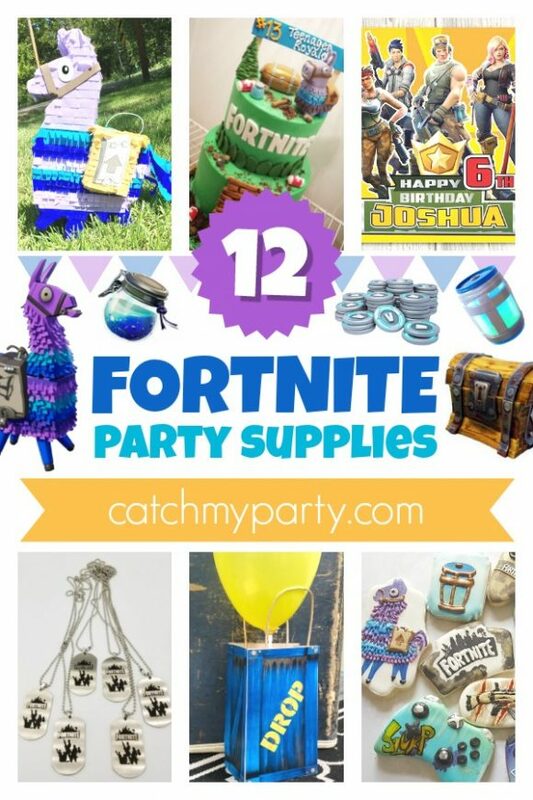 For more inspiration, check out all the stunning Fortnite party ideas on our site, and check out these Fortnite party supplies from vendors with listings on Catch My Party!